The program has been conducted in partnership with National Commission for Women and Cyber Peace Foundation. 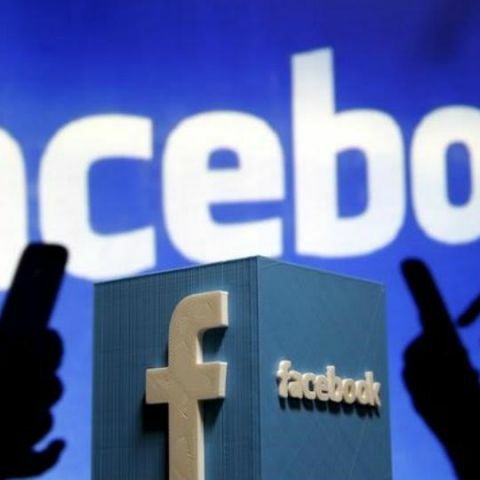 Facebook has partnered with Cyber Peace Foundation and National Commission for Women (NCW) to launch the first training module for digital literacy at Panjab University. The program provides training on how to use the internet, social media and email in a safe and responsible manner and how to differentiate between credible and dubious information. We believe that when we share information and connect, that's when we achieve extraordinary things. Integral to people’s interest in connecting and sharing, and our mission of giving people the power to build community, is that people feel safe to connect in meaningful and profound ways. Progressing our partnership with Cyber Peace Foundation and National Commission for Women (NCW), we launched the first training module at Panjab University. Hon'ble Governor, Haryana, Prof. Kaptan Singh Solanki presided over the inaugural session and delivered the key note address. The inaugural training workshop for women is the first in a series of training workshops under our Digital Literacy Program. The interactive session hosted in English and Hindi, provided training on safe and responsible use of the internet, social media and email and enabled trainees to differentiate between credible and questionable information. Mrs. Rekha Sharma, Chairperson (I/C), National Commission for Women said, "We are delighted to see the digital literacy program rolling out and unfolding immense opportunities for young women, giving them access to technology and freedom to express. We have observed worrisome trend of growing cyber-crime and this effort from Facebook and Cyber Peace Foundation will help ensure that participants feel safe and secure on the internet and can pursue professional goals as well." The Digital Literacy Program underscores Facebook’s commitment of helping women scholars learn optimally using online resources, protect themselves and promote digital literacy to reap full benefits of the internet. Protect Your Password: Passwords should be easy for you to remember but hard for someone else to figure out. Enable Login Notifications: Facebook will send you a notification if someone tries logging into your account from a new device or browser. Activate Login Notifications: You’ll be asked to enter a special security code each time you try to access your Facebook account from a new computer, phone or browser. Passwords are not social. Don’t share your password with anyone. Check your privacy settings at facebook.com/privacy to see who can view your posts. Check the audience selector tool each time you post on Facebook in order to make sure you are sharing it with your desired audience. If what you received makes that person look bad, would embarrass them, or could hurt them if it got around, don’t pass it on. If you don’t feel comfortable confronting someone or don’t quite know what to say, Facebook has a Social Reporting tool with some messages you can use and ways to get a parent, teacher or trusted friend to help you out. The Support Inbox is the place where people can check on the status of content they’ve reported, or inquiries or requests they’ve made.